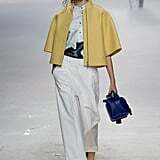 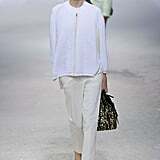 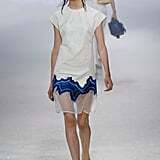 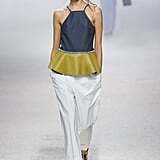 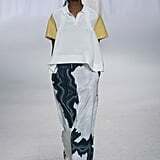 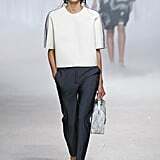 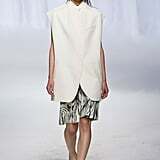 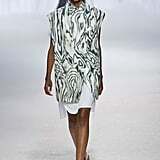 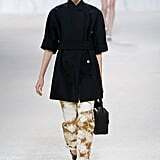 With rocks on the runway and fog wafting in, 3.1 Phillip Lim went back to the elements for Spring 2014. 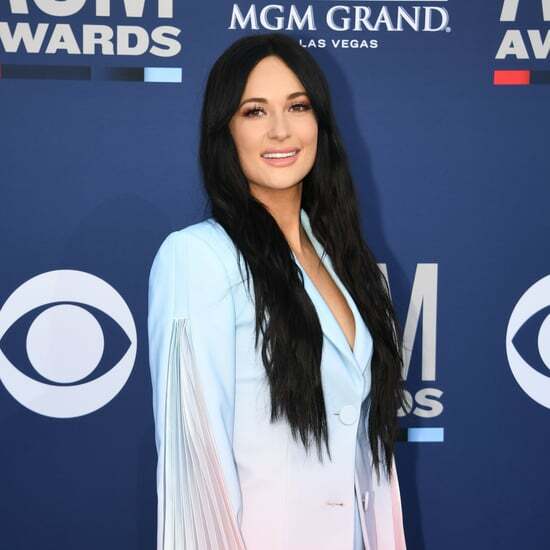 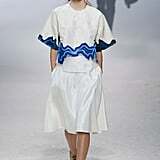 Water appeared in wave motifs on the bottom of boxy tops, while fire appeared in the flickery edges of moire leopard print. 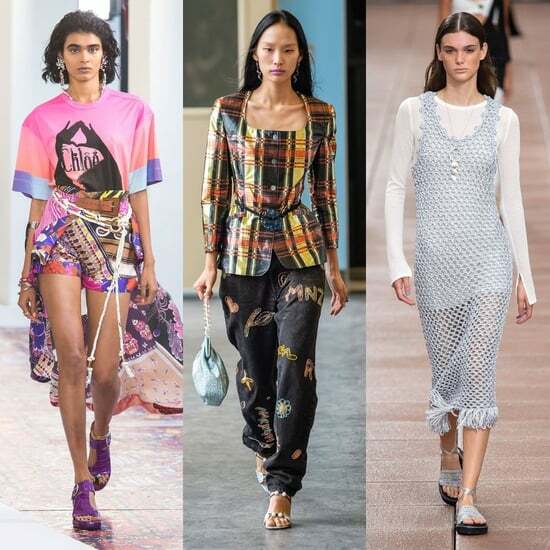 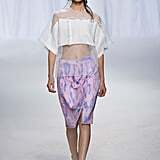 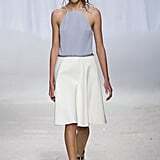 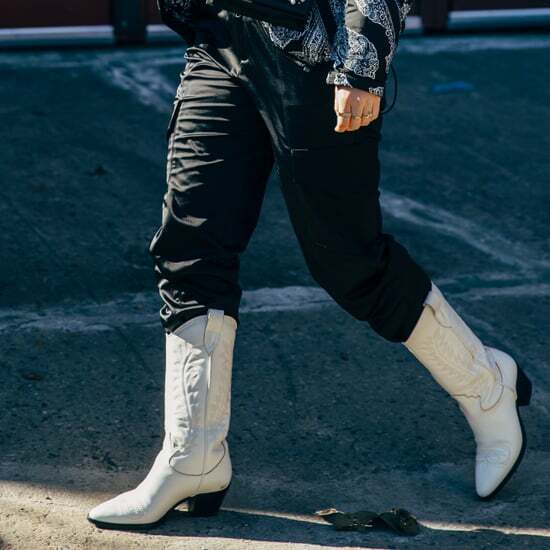 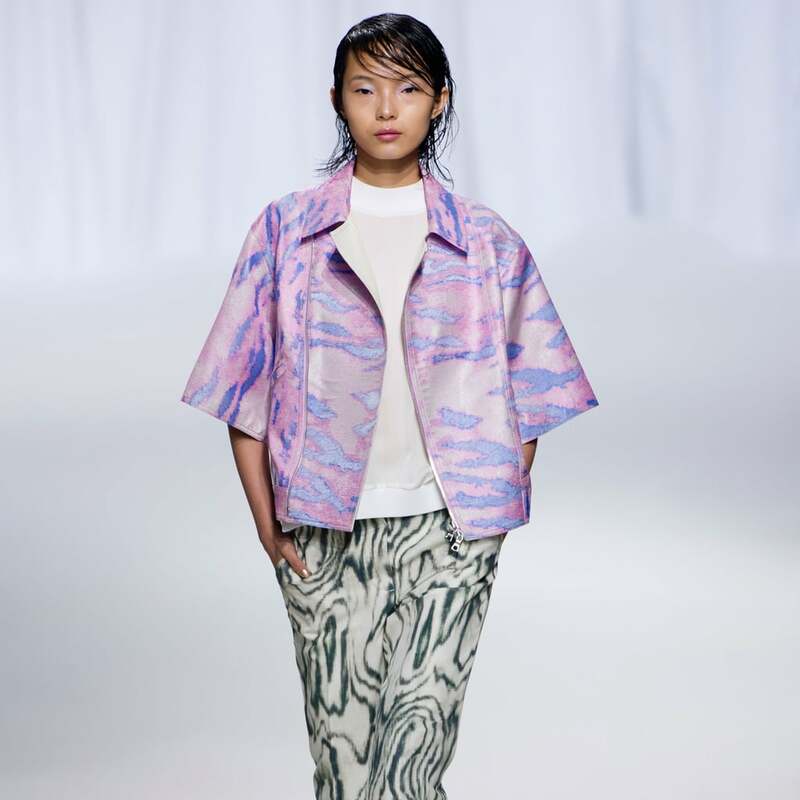 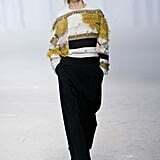 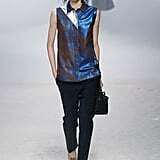 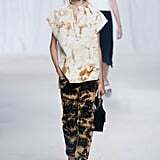 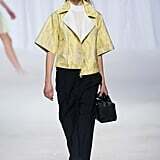 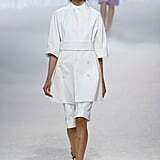 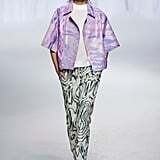 There were plenty of Lim's sharply cut trousers and moto jackets in the mix, alongside loose shift dresses. 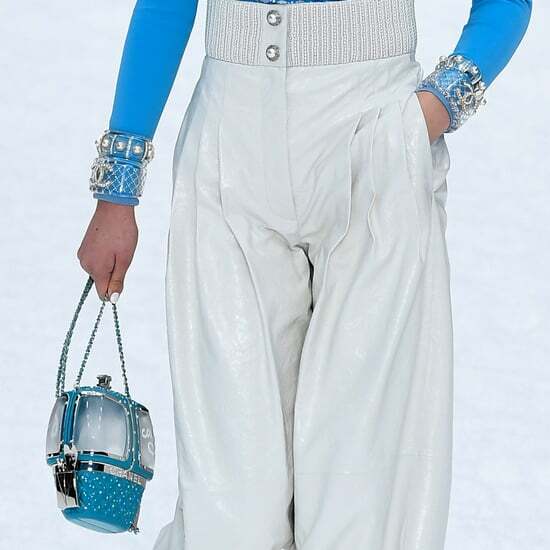 A new doctor's bag shape appeared for purses with charms hanging sweetly on the outside, for a style that is sure to be a hit.